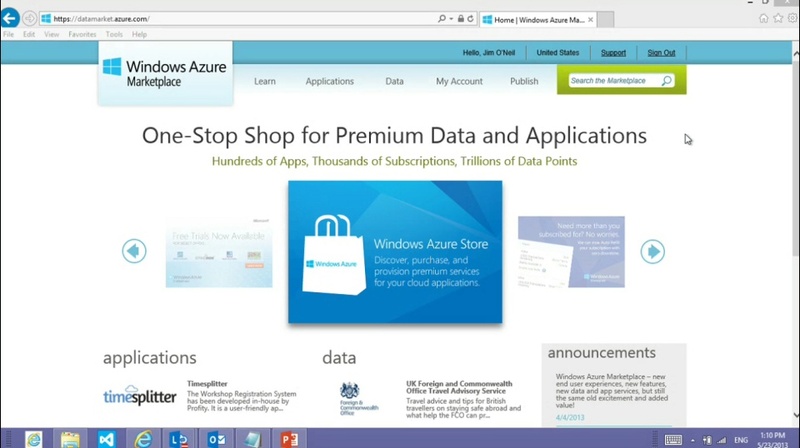 The Windows Azure Marketplace is a textbook example of "eating your own dog food." As the One-stop shop for premium data and applications hosted on Windows Azure, the Windows Azure Marketplace provides a platform on which third-parties, like you, can host services and data sets for sale and consumption by others. And to you as a developer, the DataMarket provides an awesome opportunity to incorporate curated data sets from organizations like Zillow, UNESCO, and Dun and Bradstreet into your own applications. In this episode of Practical Azure I'll explore the Windows Azure Marketplace offering from the perspectives of both a provider and a consumer of services and data.